This is the first installment in our series featuring short films from Real Food Media, an initiative to catalyze creative storytelling about food, farming and sustainability. According to the Union of Concerned Scientists, over 88% of hogs in the United States are slaughtered in industrial-scale operations with livestock raised in confined animal feeding operations (CAFOs). These factory farms house animals in inhumanely tight quarters, causing stress and disease among herds and flocks. Their overuse of antibiotics breeds dangerous resistance; they cause water and air pollution; the list goes on. But all around the country, bucking incentives from the USDA, farmers and butchers are embracing more humane and ecologically sound methods of animal husbandry, even slaughter. Conscientious slaughter, not an oxymoron to those promoting it, emphasizes things like comfort for animals up until the bitter end. 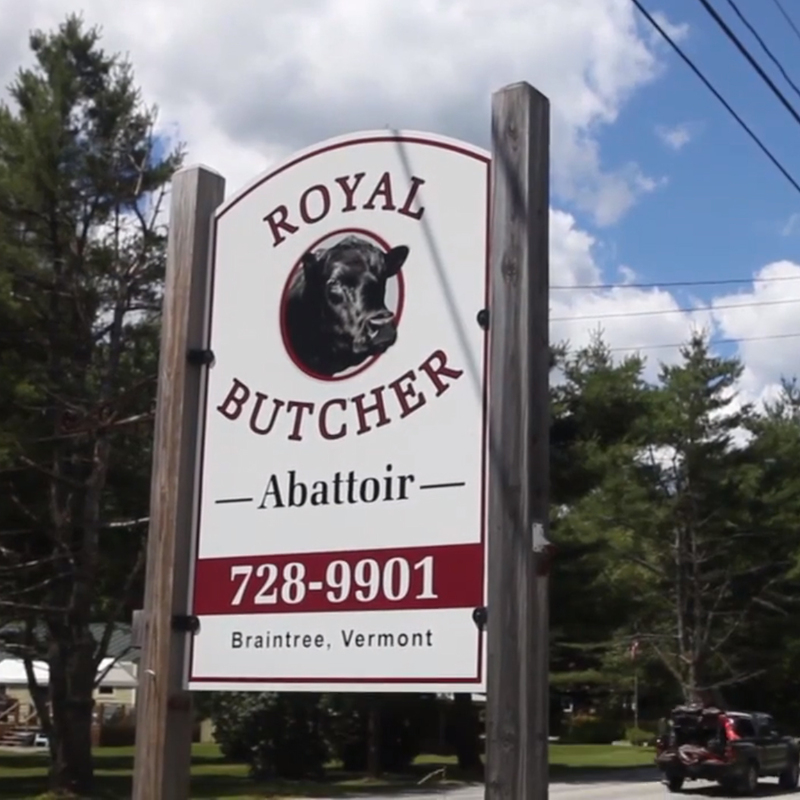 For these butchers, it is a more humane process and produces a better product. Can one stomach seeing hogs stunned while simultaneously craving bacon? What does it mean to be an ethical carnivore? In this short meditation on these questions, the answers seem to lie in changing our relationship to meat production – not only how your meat was raised, but how it was slaughtered, too. For more information about humane slaughter third-party certification visit Animal Welfare Approved and Certified Humane. Please note: Film contains explicit images.